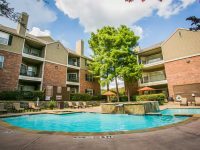 Located just far enough from the bustle of the city so as not to sacrifice convenience for serenity. 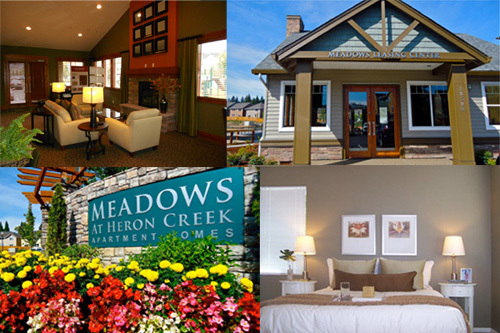 Meadows at Heron Creek is nestled in the crossroads of Beaverton, Hillsboro and Portland and offers BRAND NEW, luxurious one, two and three bedroom apartment homes featuring granite counter tops and stainless steel appliances. Just minutes from The Streets of Tanasbourne, a premier shopping destination, offering premium shopping, dining, and entertainment and a quick walk to the nearest Max station and PCC Campus. Five distinctive floor plans allow residents to reflect their individual styles and personalities. Living spaces range from 674 square feet to 1156 square feet with every home enjoying an extension to outdoor living with a spacious patio and/or balcony. 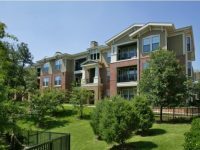 Enjoy luxurious, sensible living and wake up to breathtaking meadow views and tree lined streets. 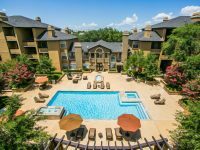 Contact us today to reserve your new home!